Happy Labor Day weekend, y'all! 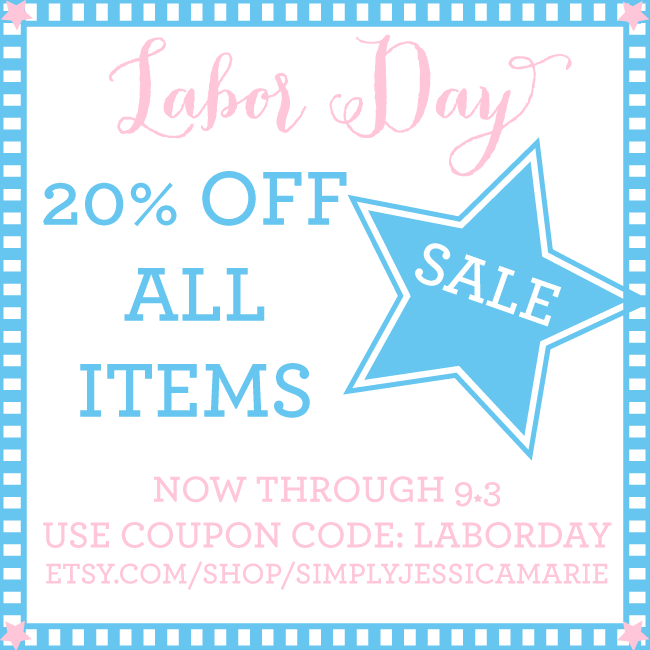 In order to celebrate the holiday, I'm offering 20% off all orders in my Etsy shop with coupon code laborday now through Tuesday, 9/3. That is the perfect amount of time to grab your monogrammed canvas, Greek canvas, paintings, and letterpress prints either before or after you return from all of your holiday weekend fun!